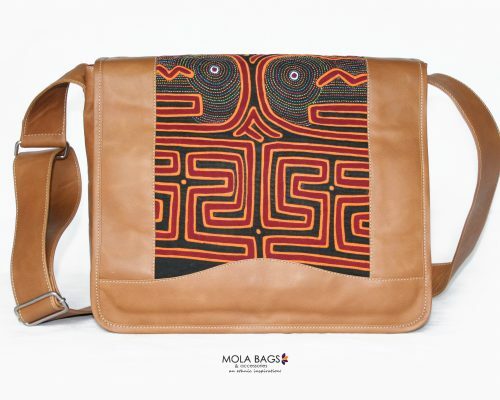 Beautiful leather messenger bag with unique vertical Mola application on the front side. 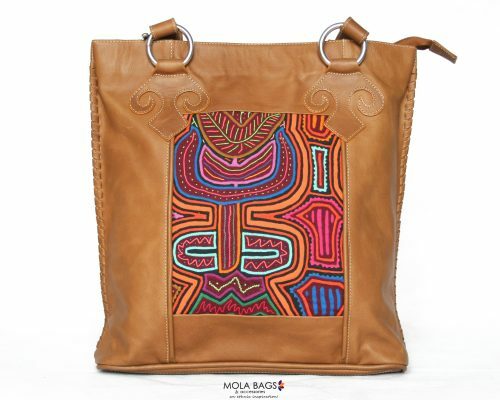 There is only ONE exemplar of each bag! Choose yours before it´s too late! 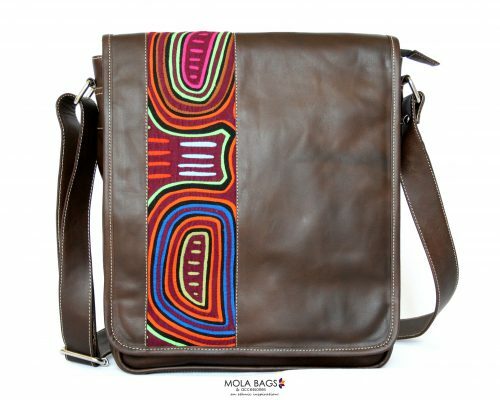 Medium Leather Messenger Bag with a completely beautiful and unique Mola Textile on the front side. Practical and simple design perfect for documents, Tablets, and Notebooks. 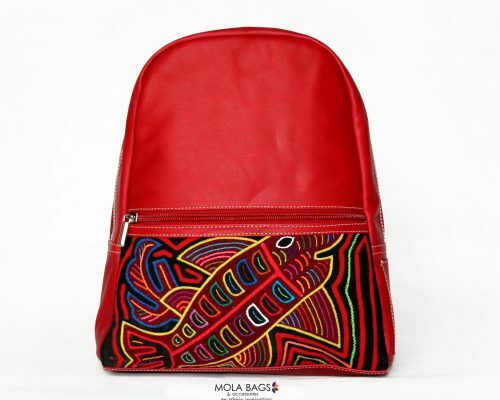 With extra large compartments on the back and on the front side. Dimensions: Width-Height-Deep: 29 x 31 x 6cms. Strap lenght: Max.65cms. Min. 33cms.